"You show spirit and bravery, and you come of noble stock. You will make a very valuable Death Eater. We need your kind, Neville Longbottom." "I’ll join you when hell freezes over," said Neville. "Dumbledore’s Army!" he shouted, and there was an answering cheer from the crowd, whom Voldemort’s Silencing Charms seemed unable to hold. Our first round we faced off against Team 18. Unfortunately, during the beginning exploration, our robots collided and got locked together. The robots weren’t able to detach from each other, so the match ended uneventfully in a loss for us, because we had not explored as many territories as our opponents when we crashed. Second round we were paired against Team 21. The exciting match ended with a tie, so we had to rematch after a short break. Our rematch went extremely well, and resulted in us winning the match and reaching a new personal best score! 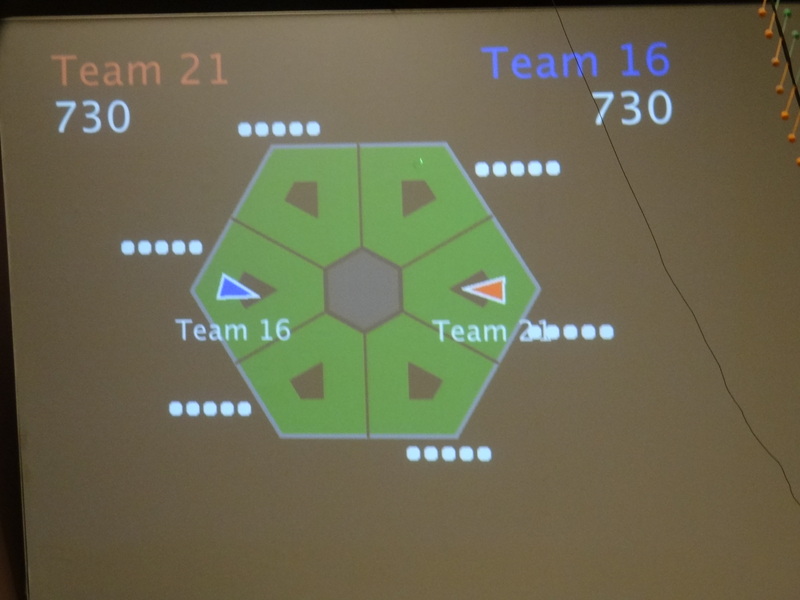 Our third round match was against Team 17. We lost the match after a malfunction with our wheels. Because of a gear misalignment, Neville was slow in his turns and wasn’t able to approach the ball dispenser enough to pull the lever. This resulted in a slow progression through the game field and a loss of the match.